South Africa gold fields are among the deepest in the world; in fact, so deep that the rocks in the mines are extremely hot and specialized cooling equipment is needed to protect the miners. South Africa also have nearly 50 percent of the world’s gold reserves and is currently the second largest producer of high quality gold. Although the gold mines in South Arica are predicted to close in ten years, pundits call this scare tactics and recommend that some of the best gold mining stocks are still those in South Africa. – AngloGold Ashati is a South African based gold mining based company with gold fields and mines across ten countries. AngloGold Ashati continues to invest in new exploration activities and is always on the lookout for new resources to mine more ounces of gold. Anglo Gold Ashati basis its business practices on respecting the environment, working for its employees and minimizing costs while maximizing gold mining investments for its shareholders. 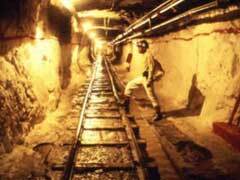 – Gold Fields Limited holds gold reserves in South Africa and basis its business on underground and surface gold mining. This company is one of the top ten gold producing mining companies in the world with worldwide resources of 281 million ounces of gold. This company is listed on the New York Stock Exchange and is highly traded throughout the day. Some of the mines held by Gold Fields LTD include the South Deep Gold Mine, Kloof Gold Mine and the Beatrix Gold Mine all of which are high producers. – Gold mining in South Africa would not be complete without discussing Johannesburg Consolidated Investment Co. Ltd founded in 1889 and has been a force in South African gold mining for over one hundred years. In 1995 JCI’s major stockholder Anglo American Corp became a vehicle for the new political holdings in South Africa, and the company is still strong in exploration, refining and deep mining occupations. The beginning of JCI included the purchases of rich gold mines near Germiston, South Africa in the gold fields of the Witwatersrand where natural gold nuggets have been found. The gold fields of South Africa and gold mines in particular are increasing good investments because the price of gold continues to rise. Gold exploration and mining companies have the ability to find new gold deposits on any given day. If new resources were found and you held the lucky stock, you would become an instant millionaire in that one day. In addition, gold is the backing of currency. When money deflates; gold retains value.